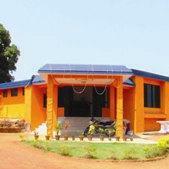 The town of Karwar is a very famous tourist place in Karnataka. Lots of tourists visit this city in the festival seasons. 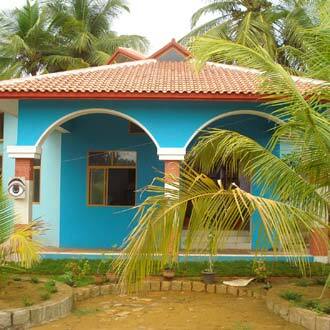 Karwar experiences hot and humid summers followed by moderately cold winters. 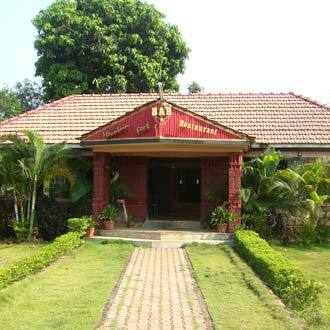 The best time during which a person should plan his visit to Karwar is during the winter season. This season lasts from October to February. The weather is pleasant during these months and the place appears fresh after the rains. During this month, the beauty of the place and different outdoor activities can be enjoyed by the visitors. The summer season, which lies from April to June, is not regarded as a good time for planning a trip to Karwar because the weather is very hot. The temperature is very high therefore carrying of sun screen along is a good idea. In the monsoon season, people who love rains can plan their trip as during that time, the city looks very beautiful. Whatever the season may be, always remember to carry suitable clothing according to the weather so that you can enjoy your stay. November to February- Winter season starts with the beginning of November and lasts till the month of February. Weather remains moderately cold during these months and the temperature varies from 26°C to 18°C. April to June- Karwar experiences hot and humid weather during summers therefore it is not regarded as a good time to travel to Karwar. The climate can be very hot with the temperature soaring high. July to October- Heavy rains lash the region during this time. Rain lovers can enjoy this time as the city looks very beautiful and appealing due to the scenic views. Cold The winter season continues in this month. This is regarded as the peak tourist season. The weather during the day is pleasant, followed by cool nights which are generally foggy due to the presence of beaches. People who love winter season should plan their trip during this month because this seaside city experiences pleasant winters. Moderately Cold Winter season comes to an end during this month. The nights are still cold but the weather during the day has started warming up a bit. This is the best season to enjoy different outdoor sports. Visitors can enjoy themselves at the famous Rabindranath Tagore beach and can get involved in different beach activities. Pleasant The month of March marks the onset of summer season. The weather is still pleasant and enjoyable, therefore loose cotton clothes are preferred during this month. Less rush of tourists is witnessed during this time as only those people prefer to visit this city who like summers. Special packages are offered by different hotels and resort for attracting the tourists. Hot The climate in April is hot and humid. Being a sea facing city, the level of humidity is very high during the summer season. This month should not be preferred for planning your trip. But being an off season, the tourist packages are available at low rates. Therefore people who are looking for a budget holiday can plan their trip in this season. Hot There is no respite from the heat as the sun shines bright in the sky. Small children should not be allowed to stay in the afternoon sun for a long period of time because it can have adverse effect on their health. Outdoor activities should not be preferred but if necessary then while going out in the sun, sun protection gear should be used. Moderately Hot Improvement in the weather is seen with the decrease in temperature. Days are warm followed by cool nights. During this month people can plan a visit to different temples and museums that lie in the vicinity. Carrying suitable walking shoes and sunscreens is recommended during this month. In the night, tourists can enjoy walks on the beach with their loved ones. Rainy This month marks the beginning of monsoon season. 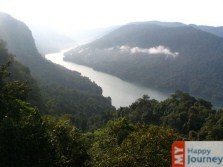 Nature lovers can plan their trip during this time as the lush greenery of Karwar can be best enjoyed during this month. Due to the monsoon showers, humidity level in the region is very high. This season is generally characterized by the presence of moderate rainfall. Rainy For most part of the day it rains as the sky remains covered with clouds. For the rain lovers, this is the best time to plan a visit and carrying of rain gear is highly recommended during this month. Small children should not be allowed to play in the rain for long time instead they should be engaged in indoor activities. Rainy With the starting of this month, rains have almost subsided and the weather is pleasant. Sometimes it rains during the day thus hampering different tourist activities. The city looks very beautiful during this month and its greenery can be enjoyed by the tourists who prefer eco tourism. This month is not a favorable month to plan a visit. Moderately Cold The weather during the month of October remains comfortable. Different outdoor activities can be enjoyed during this time. The famous Dussera festival is celebrated in this month with enthusiasm and tourists can also take part in the celebrations. The celebration of this festival takes place for a period of 10 days and it holds a special significance. Moderately Cold The month of November brings along the winter season. Tourist season begins with the beginning of this month. Newly married couples plan their honeymoon trip around this time. The price of holiday packages increases, with the start of the season. Different types of beach activities can be enjoyed by everyone. Cold In this month, the winter season is at its peak, therefore use of woolen clothes is highly recommended. Indoor activities should be preferred during this time and extra care of elderly persons should be taken. 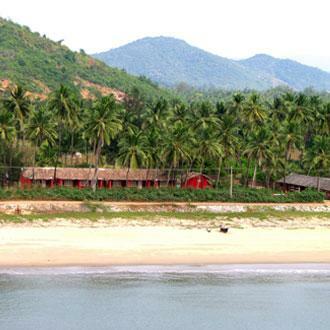 This month is regarded as the best month to visit Karwar as the weather is cold and people can enjoy themselves by taking sun baths at the beaches.